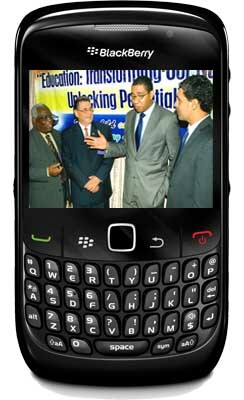 Research In Motion has teamed up with the Ministry of Education to provide approximately 20,000 teachers in Jamaica with Blackberry smartphones for the new academic year. The Canadian High Commission is supporting the initiative, which is aimed at improving communication and increasing technology awareness. The project is slated to last for a maximum of three years initially with new devices being issued after the first two years, and an option to extend it following review of the program at that time. They are also looking into using the smartphones to input grades and student attendance data into the Ministry's database management system. Kudos to everyone involved, this will be a great partnership. Thanks for the tip Lucky45!